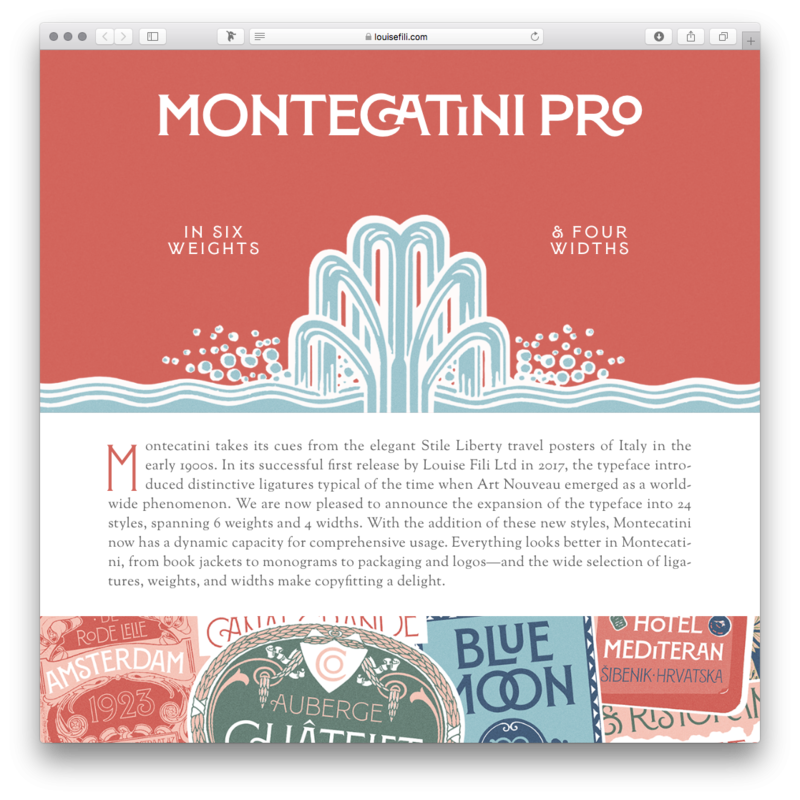 On Tuesday we (Louise Fili Ltd) launched Montecatini Pro. To help promote the font and better showcase all of its features, we built a mini-site. If your browser supports variable fonts, then you can play with the width and weight axes in the header.